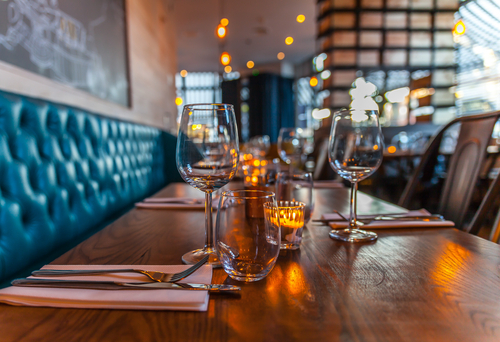 Keeping your restaurant clean is vital to its successful management. Failure to maintain high level of cleanliness can result to your business being closed down. Health inspectors usually conduct rigorous assessment regularly, and they normally examine the kitchen thoroughly for evidence of grime, dirt or poor hygiene in general. 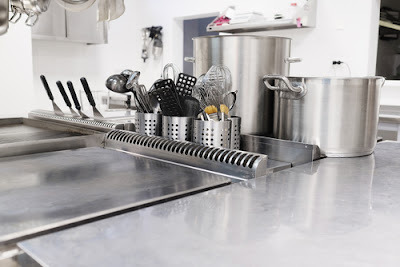 One of the most important areas of the restaurant to be kept clean is its kitchen. The kitchen is exposed to a wide range of possible contaminants. All restaurant employees including cooks servers, bussers and cashiers have accessed to the kitchen and can contaminate food. If surfaces aren’t cleaned properly, raw foods may also pose potential health risks. Organize your staff to sanitize surfaces and equipment that comes into contact with kitchen utensils, instruments and food. This should be done after every task. This way your kitchen will always remain hygienic. Your local health department establishes proper types of sanitizers and disinfectants your kitchen workers should use when washing utensils and also proper storage techniques for foodstuffs that may contain blood-borne pathogens. Items found in kitchens such as blenders, counter tops, chopping boards and grills must also be sterilized. Never allow a simple problem get worse. Any simple problem noticed in the kitchen, such as black mold growing on the window ledge or a small leak under the sink shouldn’t just be ignored. Failing to act upon minor issues may turn them into a major problem. Tiny issues are easy to fix. On the contrary, large problems are not. · Remember that, at times, you will need a professional help. It is necessary that you realize the fact that at times, you will require the help of a professional. You can as well look around for a professional restaurant cleaning services in your local area and hire them regularly to come and restore your restaurant to its original state of cleanliness. The cleanliness of your restaurant’s dining and eating area is extremely important to maintain the general appearance of your establishment and also for safety purpose. Typically, the first area the patrons will see when they visit your restaurant in the dining area. If your dining area appears untidy, many customers may decide to leave. This area can be cleaned by sanitizing thoroughly the surface areas your clients frequently come into contact with, such as table tops, bar tops, chairs among other places. Surface cleaning require clean towels that haven’t been used to clean surfaces in other restaurant areas such as kitchen or restrooms. It is also important to make sure menus and condiment bottles are regularly disinfected. Some of the very bad conditions may take place in the freezer. It’s not beyond imagination hat in some extremely hot climates; some staff members eat right inside freezers and leave the packaging. Restaurant floors that are not clean are not just unsightly but also pose a great safety risk to patrons and restaurant workers. In many cases you will notice many establishments placing large floor mats right in front of the restaurant to prevent dirt from being carried into the restaurant. Areas near the entrance and exit of the restaurant and also places underneath tables and booths must be cleaned and mopped regularly to keep them clean. Deep cleaning with liquid bleach, water and soap helps to get rid of soil accumulation in tile grout. If a spill occurs, the area must be immediately sectioned off, clean the spill and let the area dry to prevent slip-and-fall incidences. Your main goal is to make sure that your clients safely enjoy their meals. Some products used in cleaning may contain harmful chemicals. These chemicals may lead to severe injuries if ingested; and therefore it’s necessary that you avoid using them in places where food is frequently prepared. In case you aren’t sure, never leave it to chance. Enlist the assistance if a local restaurant cleaning service instead. Assigning an individual a specific area makes him responsible for that place. Pride will make sure that the task is done right. Responsibilities should be rotated so that an individual is not stuck with the difficult task all the time. Brush down the grill between orders. Keep prep areas clean and tidy. Change cutting boards regularly. Set aside a separate cutting board for vegetables, fish and meat to prevent cross-contamination. Rags for cleaning and sanitizing water must be changed. Empty the trash. Restrooms too need regular cleaning and maintenance. Rest rooms are usually shared by visitors and staff. Cleaning rest rooms properly prevent cross-contamination from the staff to foodstuffs and eating utensils. 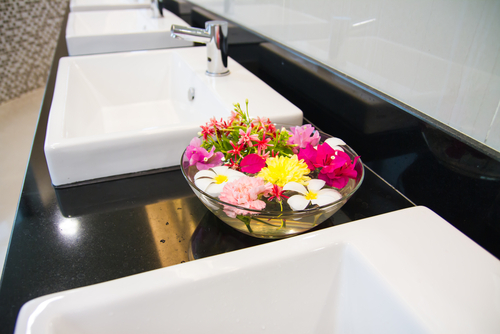 Rest rooms can be cleaned properly by scrubbing toilet seats and bowls and also the floor around toilets. Sink faucets and door handles should be disinfected and the surface areas around sinks dried. Paper towels, toilet papers and soap dispensers should be fully stocked. Rest rooms should be regularly monitored to ensure they don’t require attention. Sometimes, it’s not easy to notice dirt when you’re engrossed in the management of a business. However, it’s extremely important that you learn to look at the restaurant with appraising eyes. Take a few minutes each day to move s through the kitchen space slowly, examining waste disposal areas, food handling zones, work surfaces, floors as well as window ledges. Regardless of the type of restaurant you own, your main duty is to serve cold food cold and hot food hot. Every restaurant owner wants to offer great food with amazing customer service in a clean and safe environment for the staff and guests alike. This can only be achieved by sticking to the above insights tips of keeping restaurants clean.